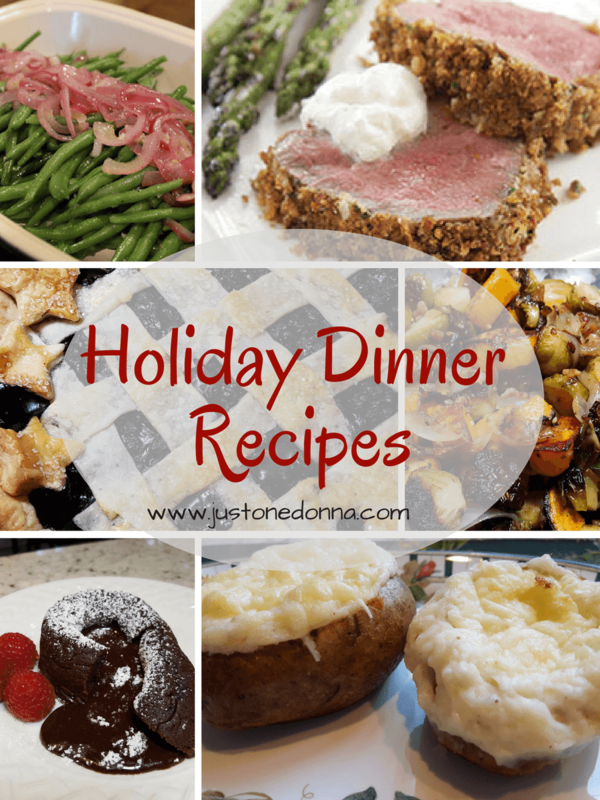 Today I want to share some Christmas dinner suggestions from the Just One Donna archives. These are recipes that I have served for our family's Christmas celebration. These menu ideas would also work for a special New Year's Eve dinner or any special dinner. Beef tenderloin is a great place to start as your main entree. It is surprisingly easy to prepare and can be served hot or at room rtemperature. 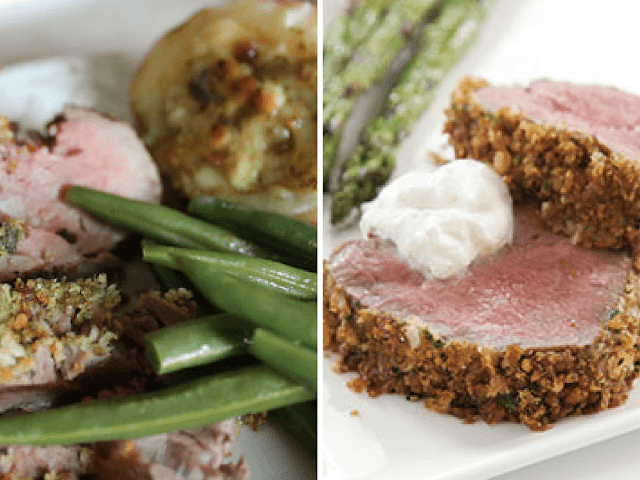 That makes it the perfect entree for dinners that may have an unpredictable timeline or buffets, I love these two recipes for my beef tenderloin dinners and alternate between them. I like to have indulgent potatoes to accompany my beef tenderloin. 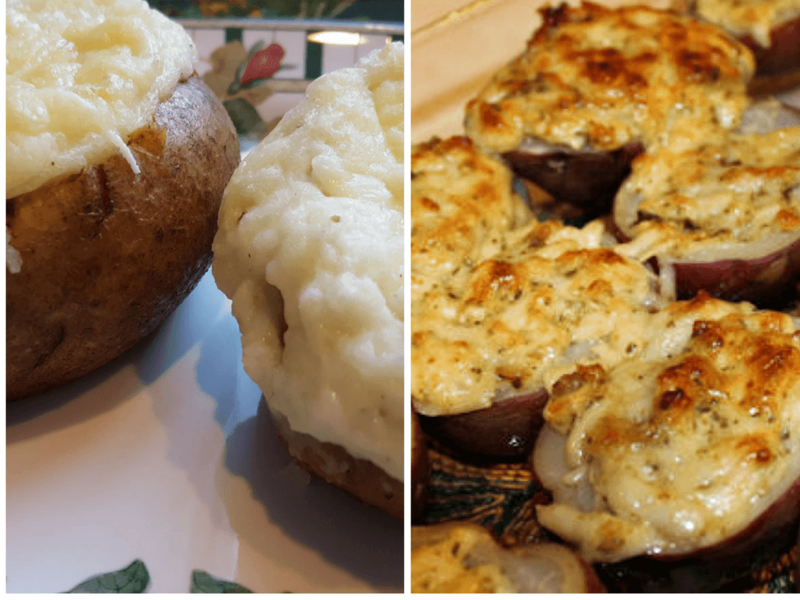 Twice baked potatoes are always on our Christmas menu because the family demands them. I also love these asiago potatoes, so I'll choose to serve them for other celebratory dinners. Vegetables are a great way to add a touch of green to your plate when serving beef tenderloin. 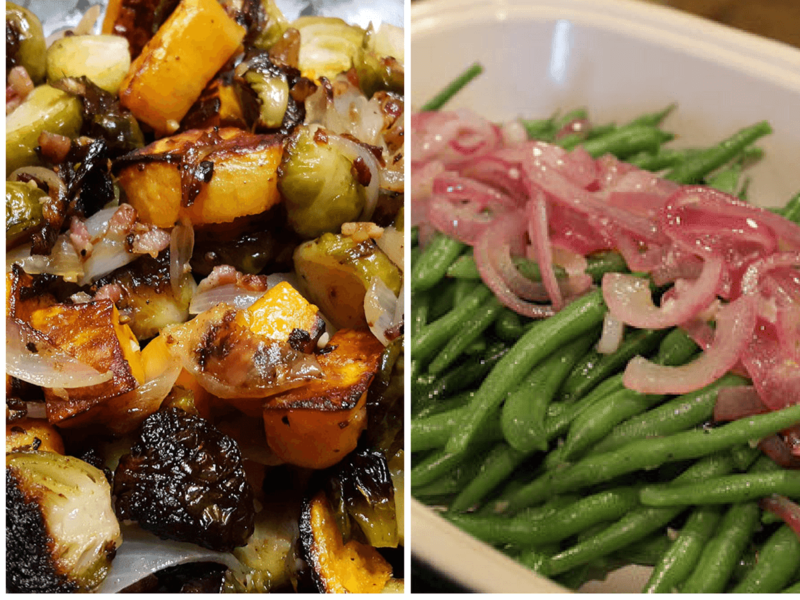 My absolute favorite side dish for a winter dinner is oven-roasted Brussels sprouts. Everyone seems to love them. I'll usually have a second vegetable side dish, as well. These green beans with pickled red onions are easy to make and look pretty on the plate. 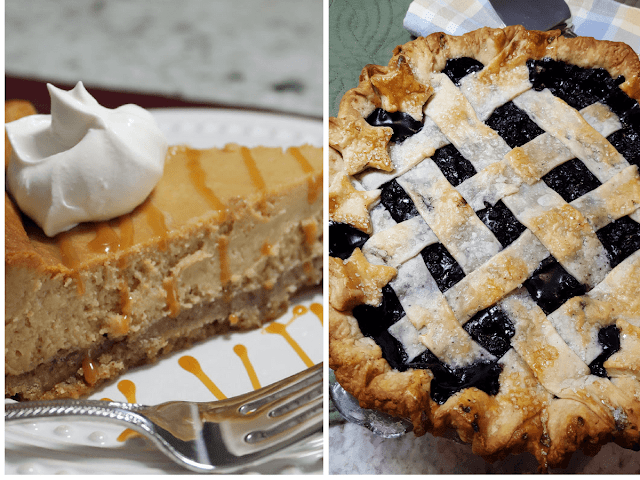 Let's finish up with some ideas for dessert. Special dinners require special desserts. I like to get my desserts made a few days in advance so the desserts I choose must be able to be made ahead. One of my absolute favorite desserts is salted caramel cheesecake. This cheesecake is a winner. I guaranty if you make this cheesecake your family and friends will request it again and again. I also think pies are always a good choice. One of my favorites is my blueberry pie, with vanilla icecream, of course. Sometimes individual serving desserts are a good choice. 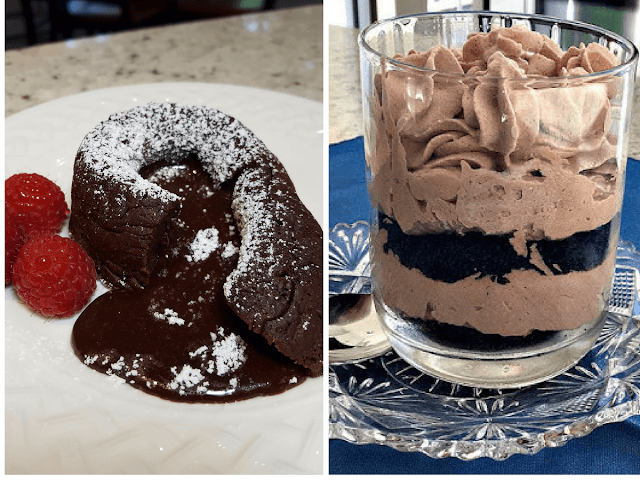 If you have a little time to fuss, these molten lava cakes are impressive and delicious. Individual trifles are nice, too. I like these Bailey's Irish Cream trifles because they can be made ahead. Thank you for sharing this post with your social media friends. Your shares on Facebook, Twitter, Pinterest, and Yummly are appreciated.